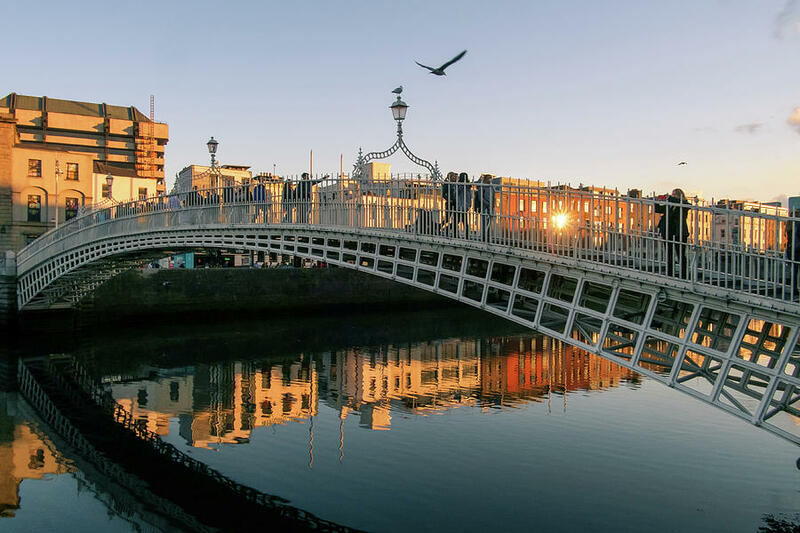 Ha'penny Bridge is a photograph by Jose Maciel which was uploaded on November 18th, 2017. 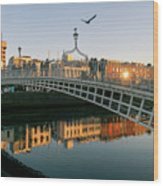 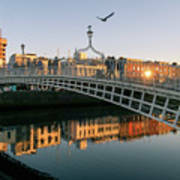 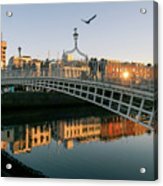 Bird flies over the River Liffey and the iconic Ha'Penny Bridge in ter centre of Dublin City, Ireland. 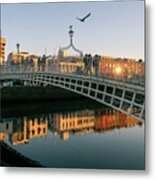 The calm water of the river reflect the buildings on its margin illuminated by the sunset sun.